Marklin H.O. 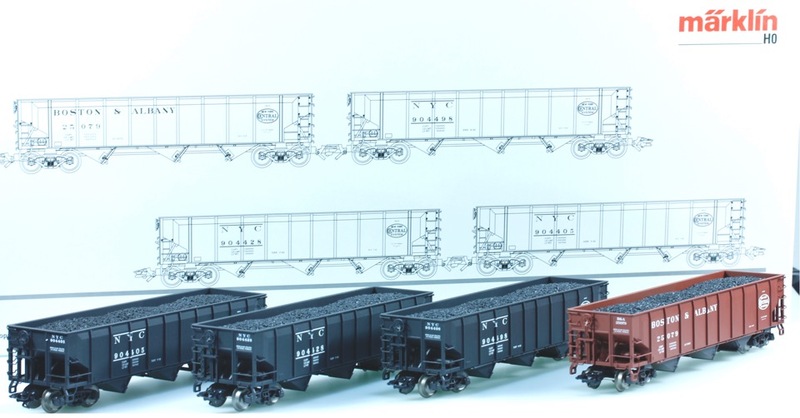 #45801 New York Central System Coal Transport Car Set of four hopper cars loaded with coal (plastic insert). These are are U.S. prototype four axle cars. The set is new old stock produced and sold only in 2003. Delivery by U.S. Mail is $14.00 to addresses in the USA. Insurance is included.